Its no secret that I love working with MSC Apex, but I am not alone. Winning 14(!) 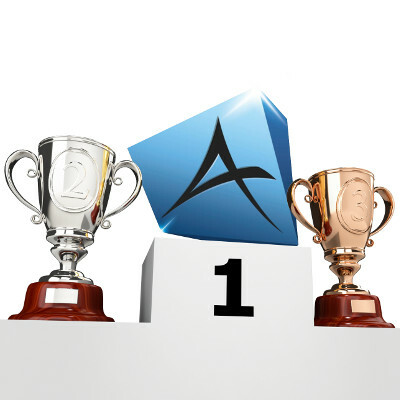 prestigious product awards (since only 2014), means MSC Apex is officially the latest and greatest CAE technology available on the market today. Apart from winning 14 product awards, MSC Software also managed to submit no less than 25 patent fillings! Its a remarkable feat for any software developer today to still be able to identify innovative ideas that can be patented. Disclaimer: I am responsible for sales and support of MSC Apex in Southern Africa, but read on and see for yourself why I really love using it. Although MSC Apex is not primarily meant to be a CAD clean-up tool, this article will focus on its CAD clean-up capabilities because it makes such a huge impact on productivity. FEA analysts typically spend 80% of their time cleaning up CAD geometry and debugging FEA models. That means in a typical 5-day work week, 4 out of those 5 days are wasted on cleaning CAD geometry for simulation purposes and only 1 day is spent on “real” engineering, i.e. on setting up the model and interpreting the results! Those 4 lost days are not the only implication. Think about the amount of engineering innovation that is lost, purely because there is no time left to innovate after spending those days on mindless clean-up work. In a 2015 benchmark with Transnet, it was already proven how the then second release of MSC Apex (Black Marlin) could save you up to 90% of those mindless CAD clean-up hours, even WITHOUT any product training! Today (Jan 2018) we are already 6 releases further and things are just getting better and better. More Case Studies about productivity gains using MSC Apex. So how exactly can you accomplish that with MSC Apex to save you so much time and money? Apart from a complete "Getting Started Guide", each tools comes with a detailed document and embedded instruction video (figure 3), at-tool-tip instructions as well as step-by-step work flow instructions. You literally learn MSC Apex as you start using it on production work. Clean topology - same as during import but with user tolerance values to re-define the CAD geometry. Find and show nearly invisible defects in CAD geometry which will cause meshing problems such as: Short edges (figure 4), Small faces (figure 5), Sliver faces (figure 6), Spike surfaces (figure 7), Sheet body cracks (figure 8), Gaps (figure 9), Overhangs (figure 10), Self-intersecting bodies (figure 11) and Large tollerance topology (figure 12). These tools are extremely effective at finding and solving the cause of many potential problems that are normally the reason for such long lead times before analyses can commence. Edge and vertex drag is probably the best tool ever developed for cleaning up CAD geometry interactively. No matter how complex the geometry shapes might be, modifying geometry or removing faults or unwanted features have never been so quick and easy to rectify while keeping the user in complete control of the outcome! In the example below (figure 13), an edge is being dragged and snapped to a nearby surface to remove an unwanted gap. This procedure automatically also stitches the surfaces to ensure a congruent (connected) mesh. Figure 13: An edge being dragged and snapped to a nearby face or surface to close an unwanted gap. 5. Preview to avoid unintended outcomes of vertex and edge drag operations. A subtle but very valuable feature, to ensure that you get what you intend, is the preview feature as shown below in figures 14 and 16. While in an operation, like edge or vertex drag (and others where you interact with the geometry directly), a changing preview (figures 14 and 16) of what to expect is shown while dragging the entity over or towards various other entities and spaces. This feature shows you immediately what outcome (figures 15 and 17) to expect before committing to it, which saves you a lot of time and countless "Undo's" of unexpected results. Not only does this save a lot of time, but also eliminates a complete learning curve on the use of those tools. Figure 14: A preview of the (unintended) possible outcome is shown during the operation. Figure 15: The (unintended) outcome of the edge drag operation as previewed in figure 14. Figure 16: A preview of the (intended) possible outcome is shown during the operation. Figure 17: The outcome of the action as previewed in figure 16. Creating mid-surface CAD models for FEA purposes are (or used to be) probably the single most time consuming process. In MSC Apex, creating mid-surfaces from even the most complex solids, can be completed in a single step. Figure 18 shows the unconnected solid bodies (of plates) and figure 19 shows the created mid-surfaces after only one click. MSC Apex also auto-renders the solids to wire frame when showing the shaded mid-surface results. This simple feature saves you another few mouse clicks (and mouse travel) so you can immediately start to inspect the end result and search for any undesired outcomes or missing mid-surfaces. Figure 19: Created mid-surfaces inside wire frame rendering of solids, ready for inspection. Automatic mid-surface methods are great until you hit those pesky exceptions when no single solution exists and different analysts may even require different solutions. Figures 20 and 21 shows one such a scenario where a single solid may have different thicknesses but it would be advantageous to still represent it with a single mid-surface (and simply use different thicknesses and offsets). In such a case, multiple options exist to place a single mid-surface and simply apply the correct thicknesses and property offsets for the various elements. MSC Apex makes such cases very simple and provide the user not only the option to modify the reference location to place a feasible mid-surface, but also allows the user to simply click either indicated spheres to even define surface placed mid-surfaces. Figure 20: Manually defining the thin part of a solid as reference to position a continuous mid-surface. Figure 21: Manually defining the thick part of a solid as reference to position a continuous mid-surface. A standard constant offset method is also available for those rare occasions when it is required (figure 22). When tapered sections are encountered, the user has the option to choose the face pair to use as a guide to create an average mid-plane from. Figure 23: A tapered solid mid-surface created. For more complex single solids as shown in Figure 24, typically found in injection moulding applications, an incremental mid-surface method is available to balance the level of automation and manual control over the outcome. In the first step, MSC Apex will indicate all found face pairs and colour each pair (which will result in a single mid-surface entity) for the user to investigate. At this point the user has the option to exclude pairs, edit pairs (to add/remove faces) and to merge pairs where a single mid-surface should be created. Figure 24: Complex single solid body's face pairs for possible mid-surfaces identified for verification. Once the user is satisfied with the face pairs identified, the automatically assigned mid-surface strategy may also be edited and the final stitched mid-surfaces created as shown in figure 25. Figure 25: Stitched mid-surface result for single complex solid. During the mid-surface creation process, variable element thickness and offset properties are automatically created. Figure 26 shows the applied variable element thickness and offset properties. Figure 26: Variable element thickness and offset properties created and applied automatically. After creating mid-surfaces, half thickness or modelling gaps and overlaps normally exist. With the auto extend tool all such defects are corrected in one step! Figure 27 shows the before and after results for mid-surfaces from individual bodies being trimmed and extended until intersection to create a single stitched mid-surface body. Figure 27: Before and after auto trim and extend operation of separately created mid-surfaces. Stitching multiple mid-surfaces from varying thickness solids creates the annoying problem that those mid-surface edges normally do not end up in the same location (so they can be connected). This can easily be corrected in MSC Apex with the stitch command which will even drag surface edges out of plane to connect them. This saves hours of modelling work to try and create such connected surfaces manually, using any other way. Figure 28: Before and after stitching out-of-plane double curved surface edges. Another reason CAD geometry is seldom analysis ready, is because of large amounts of detail that are normally not required for analysis purposes and which would simply exponentially add to analysis solving times when not removed. Removing many such features can be enormously time consuming but with MSC Apex, all standard features such as holes, chamfers and fillets can be identified automatically. The user then has the option to interactively group such features by size and easily remove any set in one step. Figure 29 shows an example of a huge amount of holes identified and the user defining a specific size range of holes to be removed. Figure 29: Multiple features identified and selected for removal. Holes, chamfers and fillets are not the only regularly occurring and repeating features found in large CAD models. Other non-standard features like the ones shown in figure 30 are also often found. MSC Apex makes provision for the user to select any feature of any shape or definition, open or closed, and to have the software search and find all such similar features. In the same manner, the user can then opt to remove all such features found or only a selection of them. Figure 30: Before and after custom features identified and removed. MSC Apex has the ability to hex mesh rather complex solids but not all solids are by default hex meshable. In such instances the user needs to intervene using partitioning to assist the mesher in creating a smart mesh. To that end, MSC Apex can automatically evaluate and colour all solids in a model to show what is hex meshable (green) in one click and what is not (red). Although every release of MSC Apex includes more one-click hex-meshable solids than the previous one, the fact that the user do not have to attempt hex meshing a solid, just to find out it is not hex meshable, means that a lot of time is again saved. The user can therefore immediately focus his attention on the red coloured solids to see if any simplification can be made to make them hex-meshable, long before meshing is even started. Figure 31 shows multiple solids in a model coloured according to whether or not is hex-meshable in one step (green) or not (red). Figure 31: Solids can be colour coded according to their one-click hex-meshability (green) or not (red). For the cases when a solid is not hex-meshable (red) in one-click, MSC Apex introduced another first by allowing partitioning of solids into user definable cells. Such cells force congruent meshes on their interfaces between cells and helps the meshing algorithm to learn how to hex-mesh the complex body. Once the partitions show a feasible hex mesh solution, the solid instantly turns green to inform the user that enough steps were taken and that one-click hex-meshing is no possible (figure 32). Figure 32: Top Left: A red (non one-click hex-meshable solid) partitioned until turning green (Top right) (one-click hex-meshable) and finally meshed (bottom image). When working with complex solids, especially castings and injection moulding parts, it is quite difficult to work inside the solid to make corrections or modifications on it when the outside faces are in the way. MSC Apex allows a quick solution to hide any face or faces of a solid, giving the user instant access to anything inside or behind it. Figure 33 indicates a possible modelling error to correct and the face that is in the way to view it more clearly. Figure 34 shows the face being hidden from view which opens the model for easier inspections and modification. Figure 33: Possible modelling error identified behind face of solid. Figure 34: Face of solid hidden to reveal modelling detail inside. MSC Apex comes with a host of sketching and projection tools that can be utilised on any global or arbitrary plane to create new line features. Once a sketch is completed, closed curves turn into surfaces and can then be push-pulled into the third dimension to create solids. Figure 35 shows the 2D sketching tools available in MSC Apex. Apart from this 2D sketching environment, 3D curves and splines can also be created directly in the modelling environment and be used to create complex 3D shapes. With the Push-Pull tool, a face can easily be moved to align with another or simply to change a body's shape and volume, using a variety of options to retain its size or adapt to its adjacent faces. The user may also push or pull an edge to create a fillet or chamfer and even change or specify its size. Figure 36 shows an internal fillet being created by pulling an edge of the solid. Figure 36: The push-pull tool being used to create a fillet. Often, solids contain features, such as face splits, which negatively affect created meshes or which purely just increases the element count unnecessary. While not always desirable to remove such features, such features can be suppressed to be ignored by the meshing algorithm (as shown below in figure 37). When a feature is suppressed, it does not change the volume of the solid or shape of the surface, but it will no longer enforce nodes or element edges to be placed on or along it. Figure 37 shows how the shape of a nut is retained on the left but how the suppressed circle defining the ridge is ignored by the auto-mesher (below right) to reduce the element count and improve mesh quality. Solids are often damaged or can have missing faces when imported. Such missing faces can easily be spotted in MSC Apex and be fixed using the filler tool. Hollow bodies are then also turned into solids automatically. Inner features (like surface splits) can be suppressed, yes, but they can also be deleted altogether! This is very useful when you want to export a parasolid without those features, since suppressing features are not saved in the parasolid file and will then have to be dealt with again if used in another FE package. These are definitely not the only reasons I like using MSC Apex so much, but certainly the most important ones related to CAD-cleanup and preparation for analysis purposes. For more Tips and Trick using MSC Apex, follow this link. Contact Paul Naudé for any questions you may have on the use of MSC Apex or feel free to add any comments below.